I used a 400 ml can of coconut milk, 1 1/2 cups water, 1 1/2 teaspoons of salt. 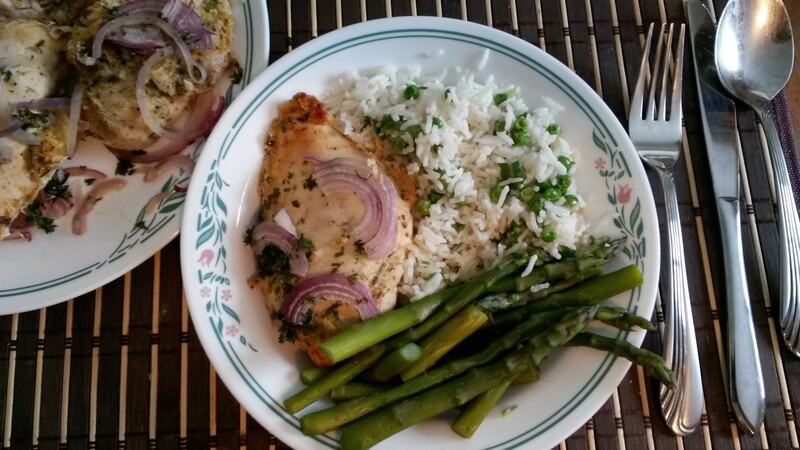 Cook for 15 minutes, add 1 cup of frozen peas (thawed) and 2 green onions chopped, stir into the rice. Cover again and cook for 3 more minutes. Chicken: As in the recipe, but I baked covered with tin foil. 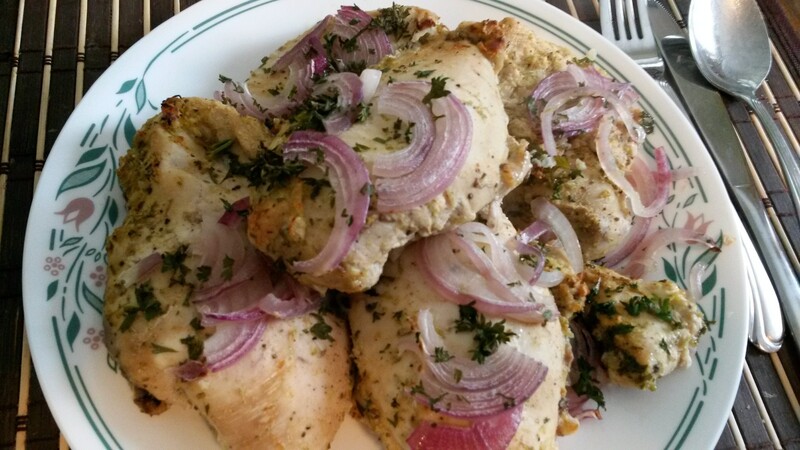 After about 45 minutes, I covered the chicken with thin slices of red onion and chopped parsley. Replaced cover, cook for another 15 minutes. Remove cover and turn oven to Broil at max, broil until chicken turns golden brown, about 5 minutes.